Representative of the community of Seville and contemporary of Asher b. Jehiel. 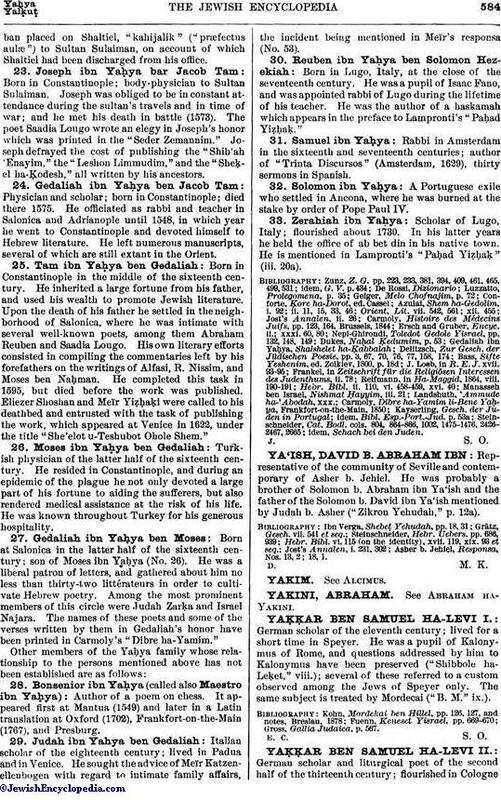 He was probably a brother of Solomon b. Abraham ibn Ya'ish and the father of the Solomon b. David ibn Ya'ish mentioned by Judah b. Asher ("Zikron Yehudah," p. 12a). Asher b. Jehiel, Responsa, Nos. 13, 2; 18, 1.